BASSETERRE, St. Kitts – The Ministry of National Security, led by the prime minister, the Honourable Dr. Timothy Harris, will throw its full support behind the proposed amendments to the Bail (Amendment) Act, 2017, when the National Assembly convenes Wednesday, June 28, at the National Assembly Chambers at government headquarters. 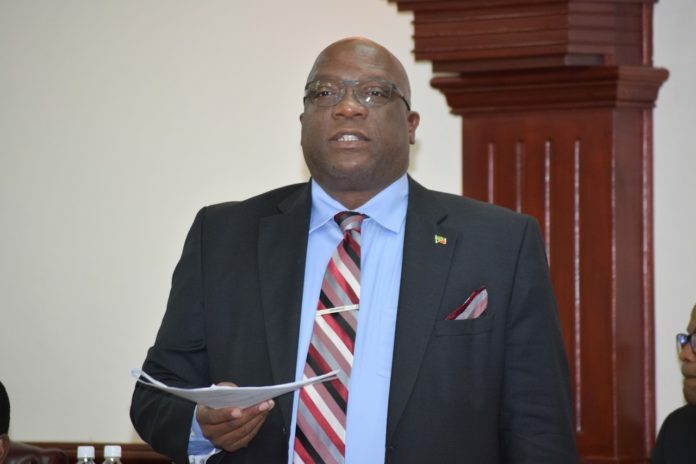 The Bail (Amendment) Bill, along with amendments to the Firearms Act that was passed during the last sitting of Parliament was introduced as a response to the increase in gun-related crimes in St. Kitts and Nevis. This move by the Team Unity Government represents one element of a comprehensive response to the problem of violence in the country. An assessment of trends over the past five years by the relevant authorities has revealed that criminals charged with capital felonies, and who have been granted bail, have gone on to organize and commit other capital offences. The proposed amendments to the act then seek to deny bail to any person charged with a capital offence under any law in St. Kitts and Nevis and remove the possibility of bail as an option in cases where capital offences have been committed with the use of a firearm. The revision of this piece of legislation also seeks to introduce monitoring devices, also known as “ankle bracelets,” for people charged with capital offences. Ankle bracelet refers to an electronic homing device or tracking device that defendants under bail or house arrest may be required to wear to enable monitoring and recording of their whereabouts at all times. Speaking with the press unit in the Office of the Prime Minister, Harris stated that the intent behind the amendments is to ensure that all people are adequately protected under the law. The prime minister further stated that the response also recognizes the imperative of a short-term answer to stem the tide of violent crime, contain it and then reverse it over time. The Bail (Amendment) Bill, 2017, which had its first reading on May 23, is being moved by the attorney general and the minister responsible for justice and legal affairs, the Honourable Vincent Byron. Wednesday’s sitting of the National Assembly, scheduled to commence at 10 a.m., will be carried live on ZIZ Radio (96 FM) and participating radio stations. It can also be viewed live on TV Channel 5 in St. Kitts and Channel 98 in Nevis. It will also be streamed live at www.zizonline.com.